Dennis, Sharon, Christopher, Sadie, and Josie were all part of Rhythmical Steel starting in 1985. We were the Steel Drum Family for many years. Chris helped Dennis with his steel drum building business. In May of 2007 Dennis, Sharon, Sadie, and Josie opened a mobile bakery (Sadie and Josie's Bakery). 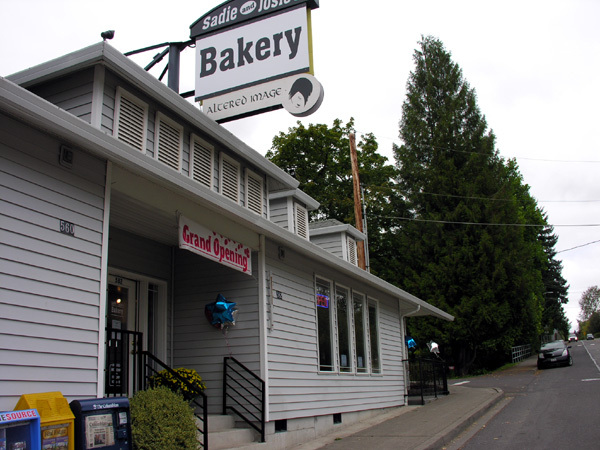 Then in July of 2010 we moved the bakery into a store front at 582 N.W. Pacific Highway in La Center, Washington. At that time Chris Joined Sadie and Josie's Bakery and worked with us until he passed at the age of 38 in December of 2013.
and making TUNING HAMMERS for steel drum and hang pan builders and tuners.